Roses are not just a pretty flower. These beautiful blooms have also become a must have tattoo design. 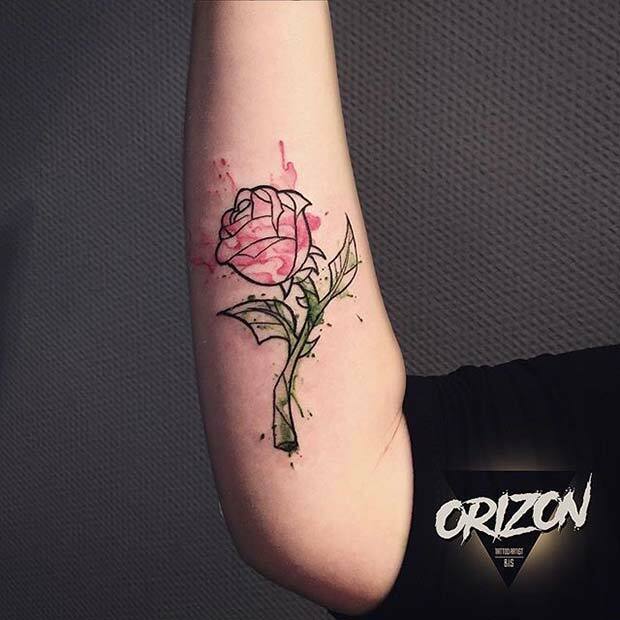 Tattoos featuring roses have been popular for many years. Inked roses are timeless making these a great tattoo choice. No matter what your style is there is a design for you. We love the rose style and think you will to. 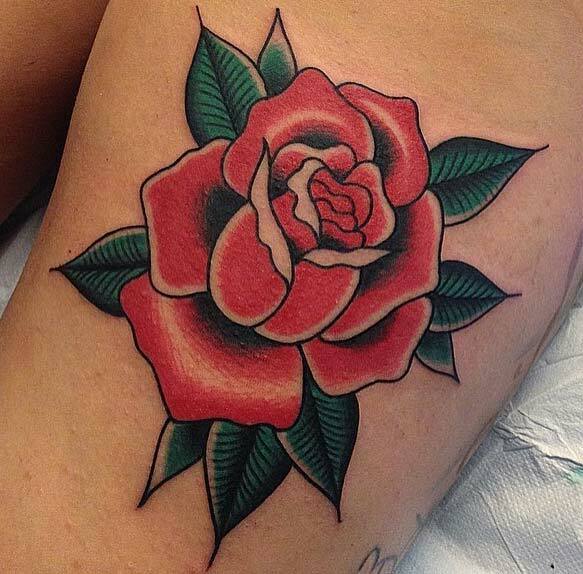 So, to get you inspired we have found 10 of the best rose tattoo ideas. There is something for everyone. 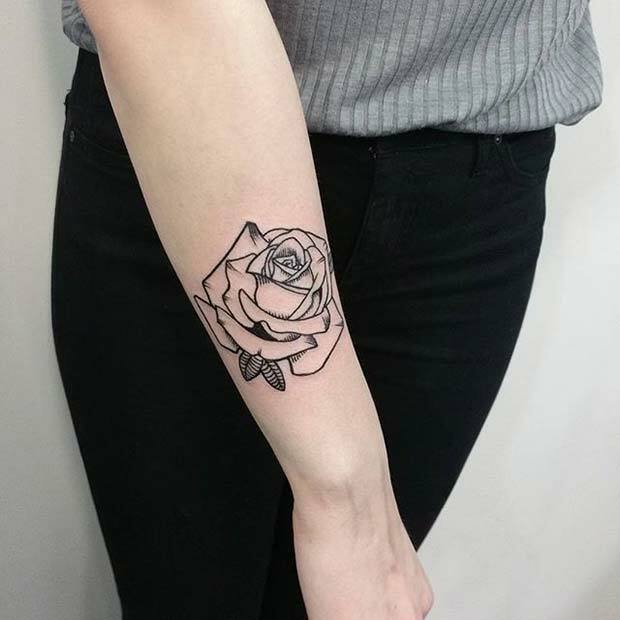 First on our list is this delicate rose tattoo. It is lightly shaded and is very detailed which makes it look like a beautiful work of art. This design has been placed on the arm but you could have this anywhere on the body. A design like this is realistic and will wow anyone that sees it. 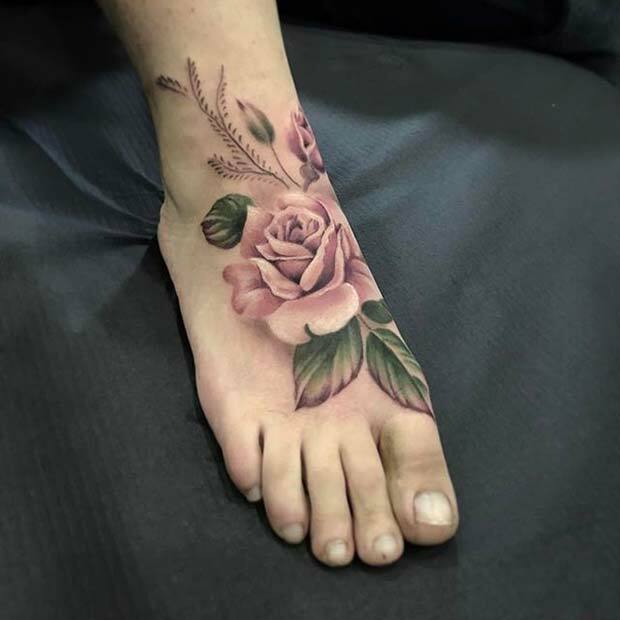 Foot tattoos have become very popular and with a tattoo like this we can see why! This stunning rose art features beautiful light pinks and rich green shades. Pink roses are said to symbolize healing, grace and elegance. Making it a great choice if you want something pretty and feminine. Ink like this will also look great with your summer shoes. Next on our list is this gorgeous water color ink. It features a beautiful rose with splashes of pink and green. 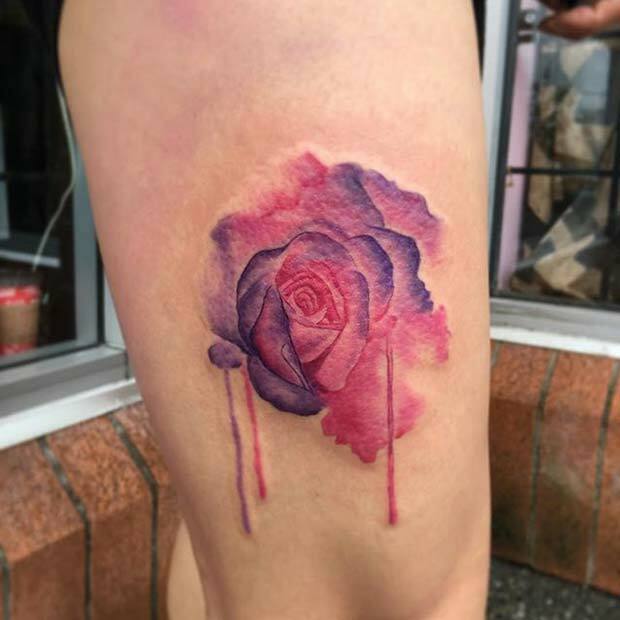 This tattoo is like the stained glass rose from Beauty and the Beast giving it a magical look. The water color style makes the design artistic and unique. Thigh tattoos have become a must have. One of the great things about thigh ink is that you can show it off or cover it up. The choice is yours. 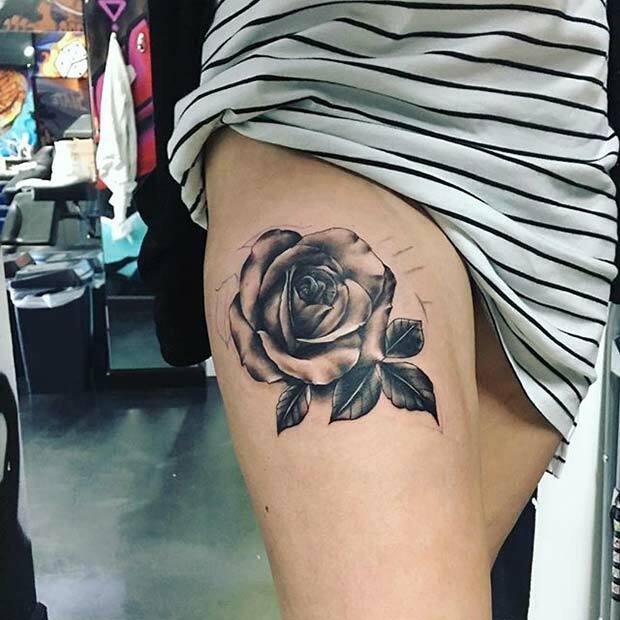 This design features a rose with dark shading which creates a trendy and edgy vibe. You could even add to a tattoo design like this in the future. Our next pick is a design that will give everyone tattoo envy! 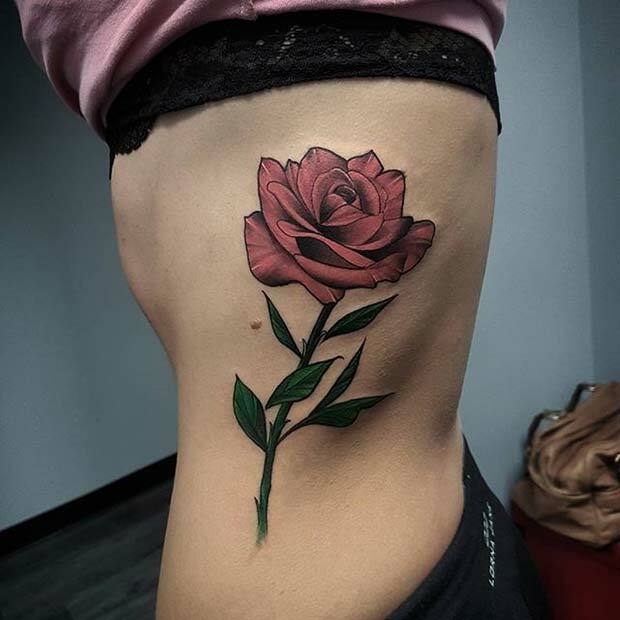 This single rose rib tattoo features beautiful pink petals and a rich green stem. The colors and shading on this design are just stunning. Rib tattoos although painful are a stylish choice that can be shown off or covered up. Looking for something unique? Then check out this trendy tattoo. 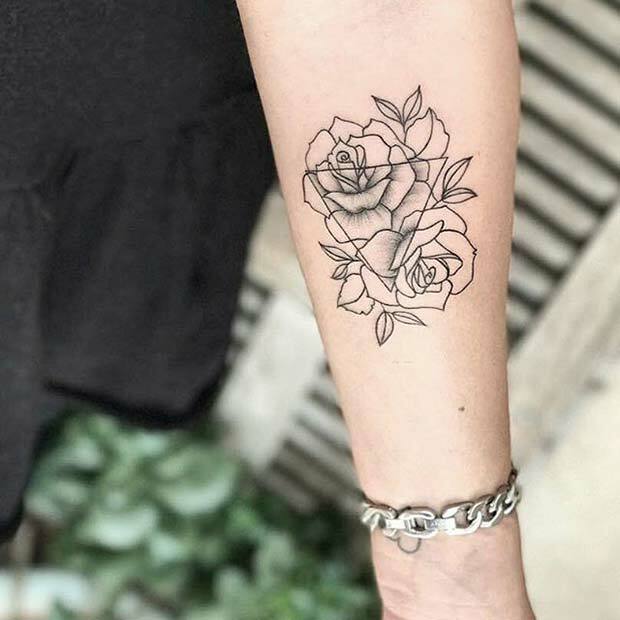 This one features simple roses in black ink with a creative triangle design in the center. When you look inside the triangle you can see the roses are different and are more detailed. We love this design as it gives the tattoo more depth. Something like is stylish and will suit everyone. Here is another gorgeous example of watercolor tattooing. This one looks like it is straight off an artist’s canvas. The pink and purple shades blend together beautifully and the drips of “paint” are an awesome touch that make it look realistic. A design like this is pretty and creative. Tattoo techniques have changed over the years. If you like the more traditional styles then this could be the tattoo for you. This rose design captures the old-school look, it features bold black lines and vibrant shades. A design like this is great on its own or as part of a sleeve. 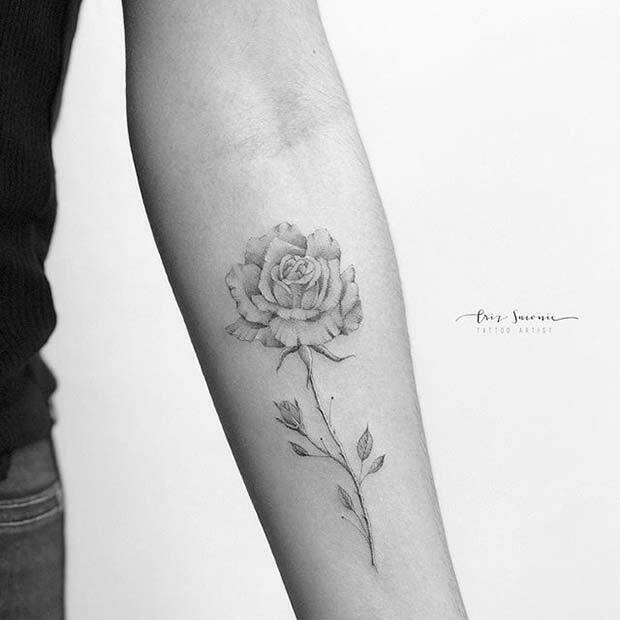 Next on our list is this gorgeous black ink rose. This tattoo doesn’t have the bold rose colors but it does have stunning detail. You could have a smaller design created or go bold and have something bigger. It is a trendy piece that will look super stylish tattooed on the arm. If red roses aren’t your thing, then check out this unique piece. 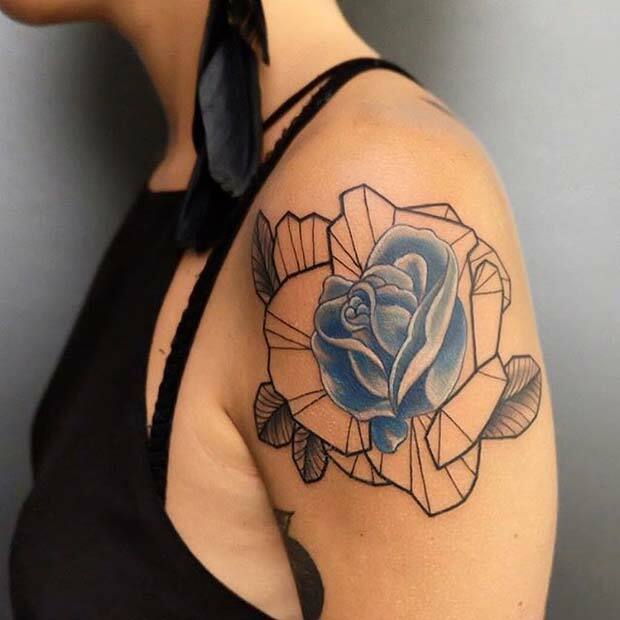 This tattoo features a beautiful blue rose. Blue roses are said to symbolize balance, mystery and more. Ink like this is perfect for the trendsetters that want to stand out from the crowd. This entry was posted in Tattoos & Piercings and tagged Rose Tattoos.